Mine dough is chilling in the fridge. I’ll be posting them tomorrow. They look fantastic! I wish I had saved some to try the next day instead of giving them all away. I noticed that a lot of people didn’t LOVE these but maybe they just needed to let them sit for a day. 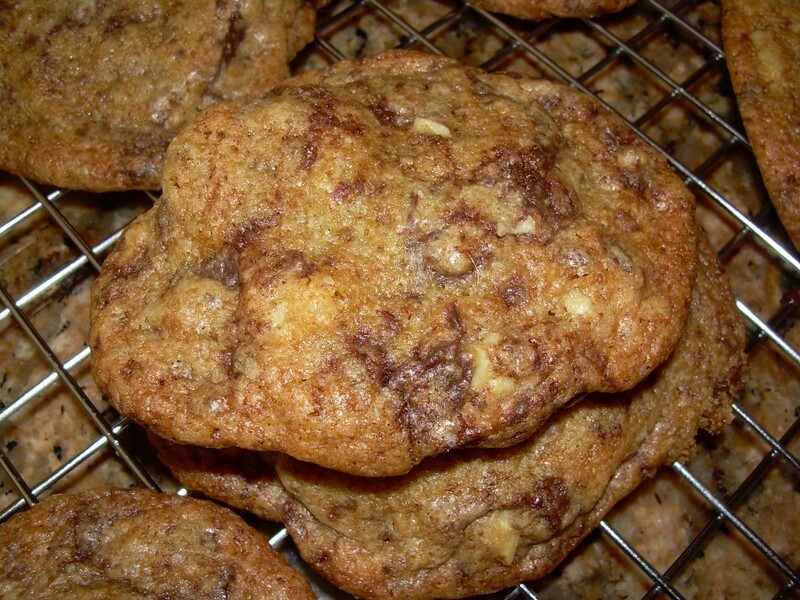 Or maybe it’s just a testament as to how everyone wants something different out of their chocolate chip cookies. Who knows. They look fabulous. YOur cookies look so tasty. Im glad you liked the recipe too..I thought it was the bomb! Hahaha! I ate a couple and then shipped the rest off to my soldiers. Hubby didn’t like them. Too flat. Yours look great! THOSE look fantastic. Little slivers of chocolate are perfect in these. Wow, these look EVIL. I would love them.